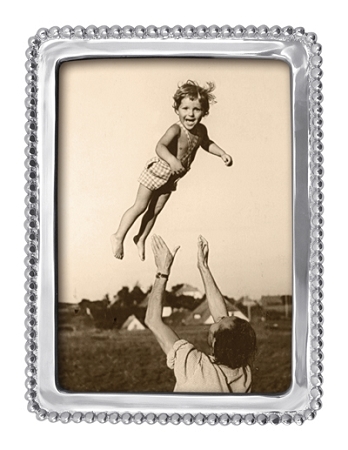 Pearled Picture Frame 4" x 6"
Gorgeously crafted, this picture frame is an elegant choice for displaying your favorite photograph. Part of Mariposa's String of Pearls collection. Designed by Michael Updike. Handmade in Mexico of recycled sandcast aluminum. Available in 4"x6", 5"x7" and 8"x10".